Almond Amaretto Mini-Loaves Recipe. © 2014 Peggy Trowbridge Filippone, licensed to About.com, Inc.
An almond lover's delight, little quick bread loaves are loaded with almonds, almond paste, and amaretto almond liqueur. Almond paste is usually found in the baking aisle at your local market. These little loaves make great gifts from the kitchen. Combine amaretto and milk. Set aside. In a large bowl, cream butter and almond paste together. Beat in sugar a little at a time. Add flour to the butter mixture a third at a time, alternating with amaretto milk, and ending with flour. Fill mini-loaf pans three-fourths full. Sprinkle with almonds and sugar. Bake 45 minutes or until a toothpick inserted in the center comes out clean. 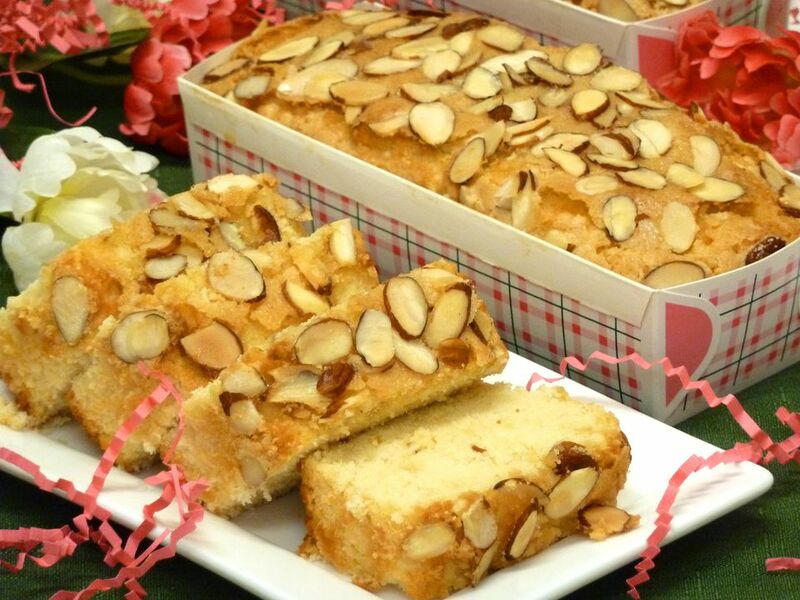 Remove amaretto almond loaves from pans and cool on racks to room temperature. Brush with additional amaretto, if desired.